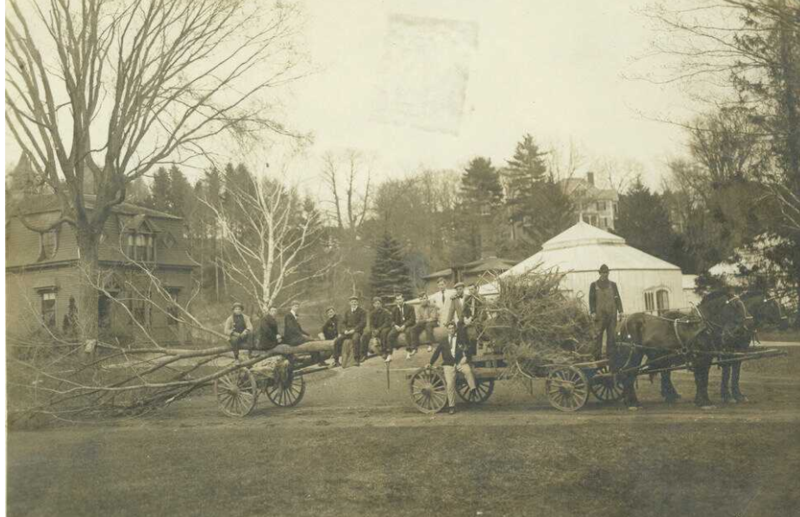 Members of the Class of 1909 pose with their class tree. Courtesy Special Collections and University Archives of the W.E.B. Du Bois Library at UMass Amherst. This pin oak was planted at what later became northwest of Stockbridge House (University Club) and southeast of Wilder Hall. Note the original Durfee Conservatory at right and Hillside House above.